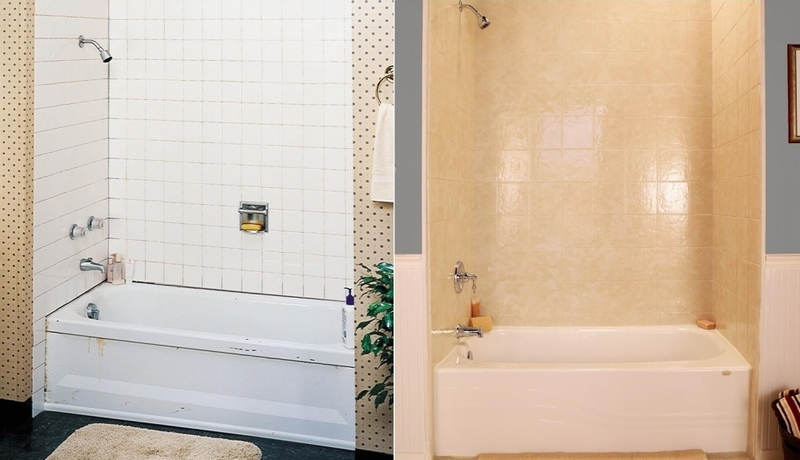 Innovative KAB now offering Acrylic bath systems, installed in as little as one day! 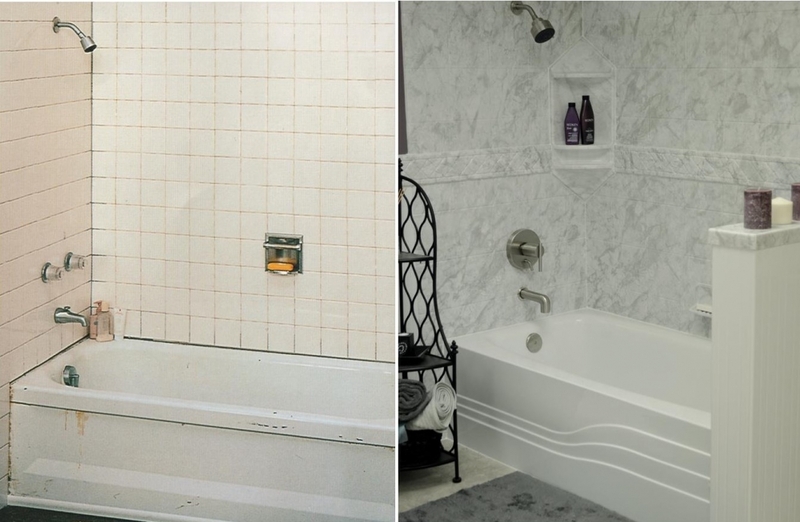 As one of the most used rooms in the house, your bathroom should be built to last a lifetime. Let us create the perfect place to energize for the day as well as relax and unwind at the end of the day.  Free In-home Consultation – It all starts here. One of our expert bathroom remodelers will meet with you to discuss your design vision, needs, and evaluate your bathroom space. 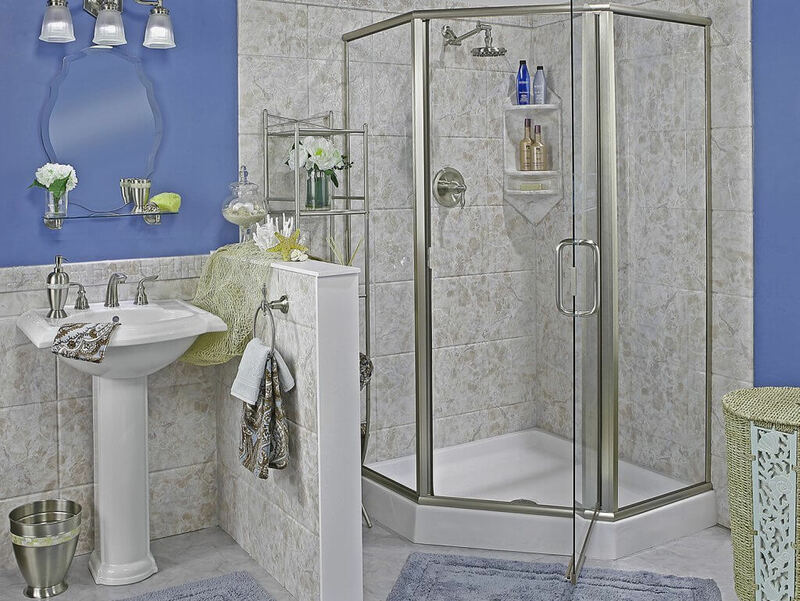 Initial Bathroom Design – With your vision in mind and an understanding of the project goals, our designer will create the initial bathroom design and layout. Material Selection – Now it’s time to bring the design to life and choose the materials for your new bathroom. 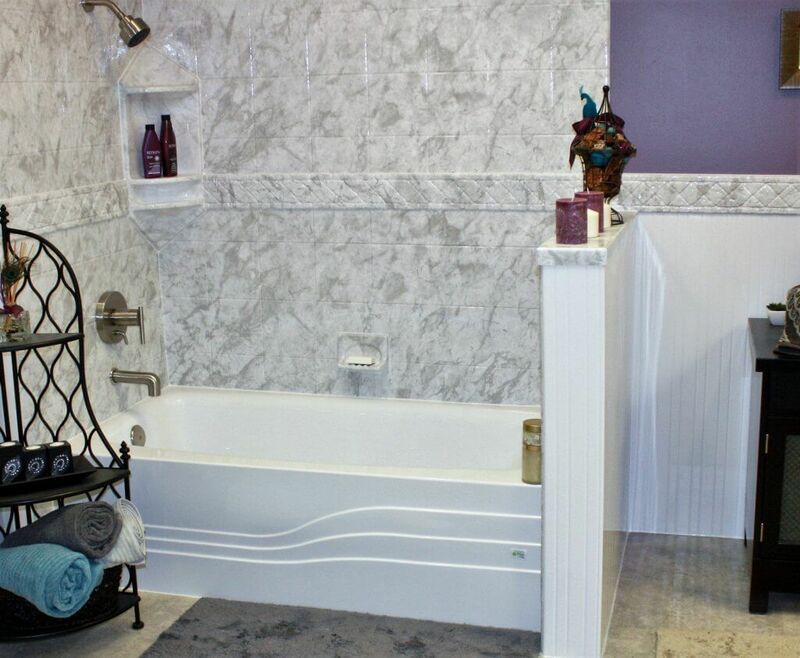 A good bathroom design seamlessly ties together all the elements and we love helping you choose the perfect details. Our showroom gives you a chance to see and touch the materials including fixtures, flooring, countertops, cabinets, and more. We Get to Work – Our team of expert installers will start transforming your space. Whether it’s demolition, plumbing, or installation, we aim to minimize any disruption to your home. Our team will clean up every day so your home still feels like a home and not a construction site. Our team includes all the necessary experts from plumbers to electricians so there’s no delay. At every step, we’ll review and inspect our work to ensure your bathroom is perfect. 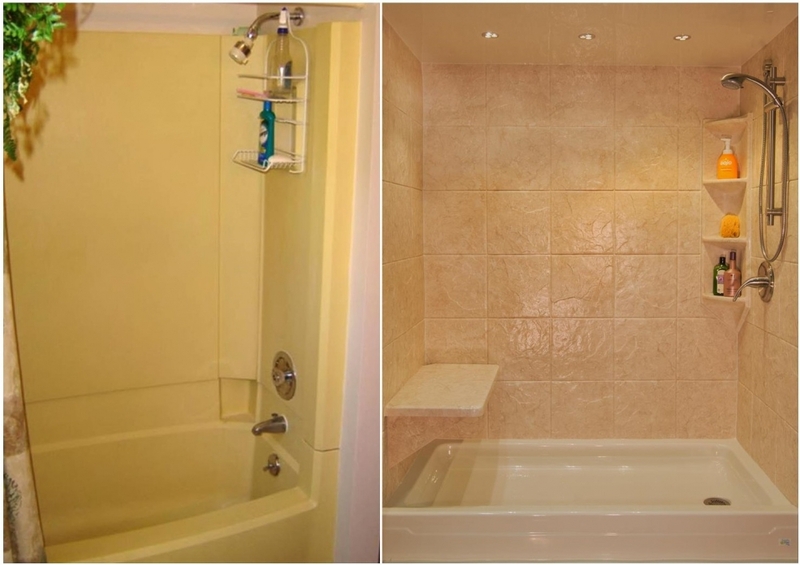 Whether it’s making sure grout in showers and floor tiles is perfect to ensure that your bathroom stays resistant to mold and decay or paying close attention to detail when laying tile, our team knows the details make the difference. Unveiling – The day has come, it’s time to see your beautiful new bathroom. 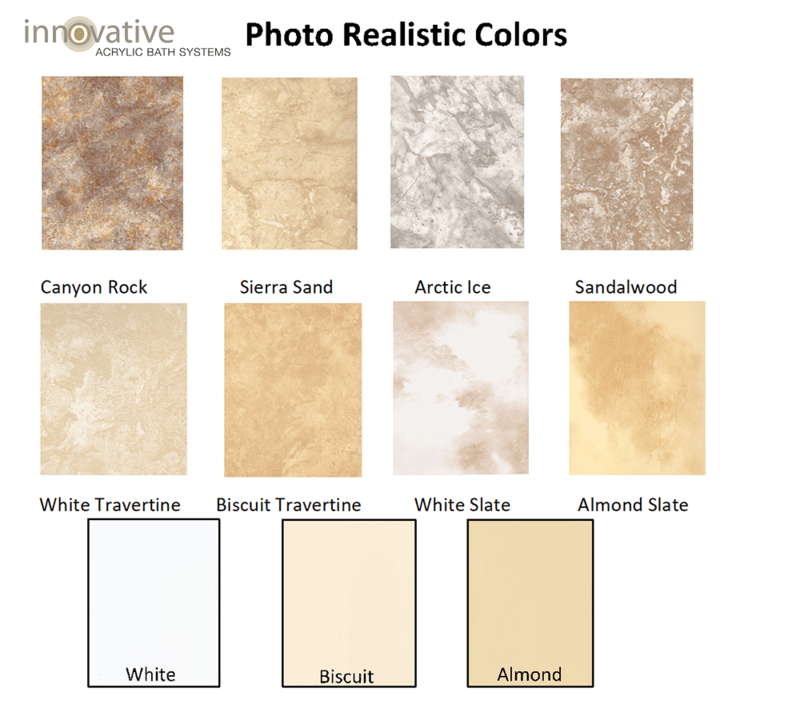 Contact Innovative Kitchen & Bath today to schedule your FREE in-home consultation!